Our State Presidents Welcome you to Florida! The Florida State Aerie and Auxiliary are chartered units of the international Grand Aerie and Grand Auxiliary of the Fraternal Order of Eagles (F.O.E.) – a non-profit, fraternal organization instituted in 1898. 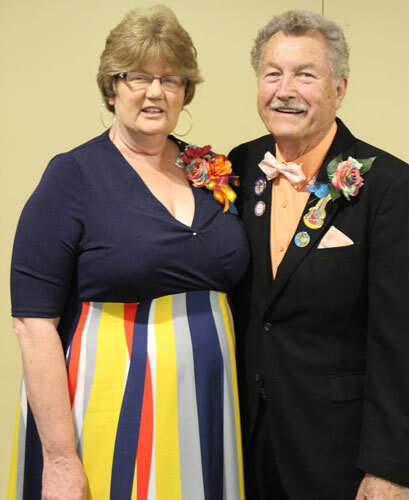 There are over 45,000 Aerie and Auxiliary members within the state of Florida that are organized into more than 150 local level Aeries and Auxiliaries. Our members raise over $300,000 dollars annually to support many worthwhile charitable causes within our communities, state and nation. This website has been designed to inform, not only our local members across Florida, but anyone seeking knowledge of the workings of our organization. By using the above links, you, as a visitor to this site, will be able to access all types of information about our state organization. Please feel free to look around and learn about the many activities in which we participate. Thank you for visiting our website - come back often and see what's new in the Florida F.O.E. !